Ever since Meher joined Thermax – a company focused on alternative energy – there has been no looking back. 75 countries and counting is definitely a growing global business! Meher Pudumjee, Chairperson, Thermax Ltd.
Today, as the Chairperson of Thermax Ltd., Meher Pudumjee’s leadership has been instrumental in shaping the success story of Thermax as it stands among the leading companies in its segment, not just within the country but beyond borders as well. When asked if working outside her family business was ever a choice that she considered, Meher replies that one of the values her parents instilled in her at a young age, was the freedom to make her own choices. “I definitely didn’t hanker after the reins to the family business, nor was I obliged to join it even when I attended Imperial College. But as fate would have it, by the time I graduated, my courtship with my then fiancé – now husband, Pheroz Pudumjee drew me back to India in 1990, and that was when I thought of joining Thermax”. Today, Thermax has its wings spread across the globe and has a sizeable presence (75 countries) in South East Asia, the Middle East and Africa (this Pune based company operates globally through 19 international offices, 12 sales and service offices and 11 manufacturing facilities – seven of which are in India and four overseas), all under the leadership of Meher, who feels that her being a woman has never been a challenge for her. “I think most working women accept that they need to wear multiple hats at different times. I am no different. Being a non-executive Chairperson, I mostly involve myself in strategic issues, other than that I don’t interfere at all; the rest is my managing director’s prerogative. I also feel delegation is very helpful,” she says. Apart from having an active family life, in her free time, Meher likes to devote time to company’s CSR agenda realised through the Thermax Foundation and its NGO partners (Akanksha, Teach For India). She also loves to sing in a Pune-based choir, which she says has been among her favourite pastimes for the past 20 years. When asked about her business idol, she says, “I believe in the ideals of J.R.D. 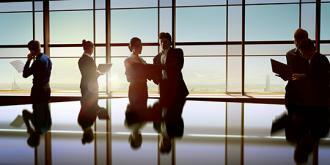 Tata, that every stakeholder – customer, employee, supplier, community and government – is important to a company. We all know that business can't succeed in a society that is dysfunctional – when there are issues such as illiteracy and poverty all around”. TDB: Under your reign as Chairperson, Thermax has attained newer heights globally. Today, how would you describe your journey with the Thermax Group? 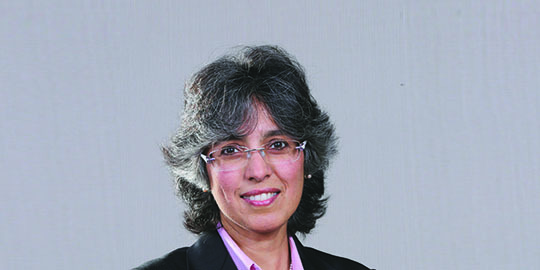 Meher Pudumjee (MP): When I took over as Chairperson of the company in 2004, it helped that Thermax was well-positioned to grow in global markets. We invested in setting up a manufacturing facility in China for our cooling business in 2007; acquired Danstoker A/S, a leading European boiler manufacturer, and its German subsidiary, Omnical Kessel (in 2010), and Rifox-Hans Richter GmbH, a leading steam accessories manufacturer in 2012. We have an International Business Group, spearheading our overseas operations in South East Asia, the Middle East and Africa. Our new facility is coming up in Indonesia to cater to the ASEAN market, and we are also developing business relations in several countries in Africa. Our joint venture company, Thermax Babcock and Wilcox Energy Solutions, has a manufacturing facility for power boilers for international and domestic projects. I am very passionate about alternative energy and as a company, we are working to position Thermax in that space. Over the years, I'd like to see Thermax enhance its portfolio into greener and cleaner technologies, through incessant innovation and by being agile to meet the needs of our customers. I feel grateful that we have a very committed and capable team. I am happy that as a company, it’s not just the shareholder who is important to us. We believe in addressing all our stakeholders – employees, customers, environment and the community. Thanks to our Board, we have been able to make a small yet significant impact on ‘education’ for the economically underprivileged in our city, which has been a very satisfying experience for us. TDB: With regards to your sector, what are the policy hurdles you face when it comes to imports and exports? Are there any changes you would like to suggest for the sector? MP: Due to the unprecedented depreciation of euro and yen in the past year, Indian exporters have to compete with companies from Europe and Japan. The government can certainly support our capital goods exporters with incentives that match those of China, Japan and South Korea, and by extending long-term credit facilities for our international customers. However, government support can only go this far. In the global marketplace, what will eventually determine the staying power of Indian companies is their operational excellence, reliability and excellence of products and services, innovativeness, and the speed with which they learn to adapt. TDB: We know you are passionate about alternative energy. Please tell us about your endeavours in this regard. MP: The use of industrial waste heat for cooling and power applications has always been Thermax’s forte. Ever since my father’s time, our corporate motto has been “conserving energy, preserving the environment”. We have also been focusing on biomass – that is, boilers, chillers and power plants powered by energy produced from agri-waste. Three years ago, Thermax had set up a wholly owned subsidiary, Thermax Onsite Energy, which supplies and manages utility equipment at customer sites. When we started it, we decided that we would make it a green company – today most of its products and solutions are based on biomass. Recently, we acquired some stake in a company named First Energy, as we would like to expand biomass-based systems in the B-to-B (commercial) segment-hospitals, hotels, etc. Our solar business is about eight years old – we have built a client base among large educational institutions and environment conscious corporates. As technology in our segment is quickly changing, we will go slow today to go fast in the future! With customers, alternative technologies will have to be more efficient, to provide a better payback. Consider the all-time low oil prices at a time when climate change warrants a switch to cleaner fuels, and one can see the difficulties in promoting alternative technologies. TDB: What challenges and opportunities do you envision for the group? MP: We happen to be positioned in the critical areas of energy and environment, so there are ample opportunities as companies are required to perform efficiently and in a sustainable manner without vitiating natural habitats. With our systems that help to hike efficiencies, minimise waste and recycle resources, we have a lot to offer to industrial and commercial establishments in global markets. The challenge is to ride the storm and also stay competitive, as global markets are under rough weather and companies from the developed world are fighting for survival. TDB: Leading such a globally admired company, what success mantra would you like to share with women who plan to take on the world in exports? MP: Be genuine and true to yourself in thoughts, words and deeds, rather than trying to be someone you are not. Within Thermax, my family and our CEO have been very particular about presenting an “authentic” picture of the company to all our stakeholders at all times. In the long run, this approach has always helped us. The Arab-India Economic Forum (AIEF) will focus on opportunities in infrastructure, ..